The Office Furniture market segment includes among other things computer desks and swivel chairs for the office and workspace storage units. The worldwide revenue of US$79.9 billion in 2017 is expected to increase to US$84 billion by 2021. In 2017, the Furniture market realized a total revenue of US$650 billion, representing an annual growth of 3.6% compared to 2016. Due to rising living standards and a higher income, consumers replace their furniture more frequently. The growth of the Office Furniture segment is driven by factors like the development of innovative products, modern and high-quality ergonomic furniture. 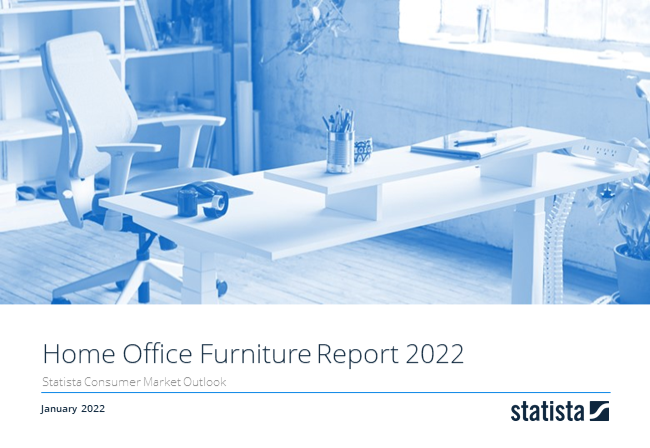 This report from the series of Consumer Market Outlook segment reports gives an overview of the office furniture market from an international perspective. You can find further information on the topic on Consumer Market Outlook/Office Furniture.